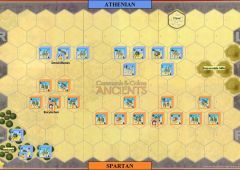 After the Battle of Pylos, which resulted in the isolation of 420 Spartan soldiers on the island of Sphacteria, Sparta sued for peace and sent an embassy to Athens to negotiate a settlement. 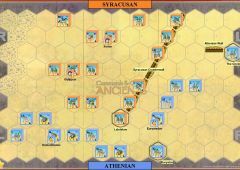 These negotiations, however, proved fruitless, and with the news of their failure the armistice came to an end. 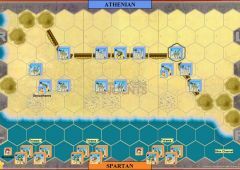 Demosthenes, commanding the force at Pylos, initially planned to starve the Spartans out rather than attack them, but as time wore on it became clear that the Spartans would be able to hold out for longer than anticipated. 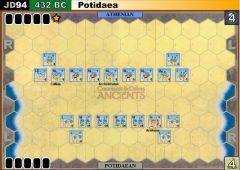 He therefore requested reinforcements from Athens to assault the island before winter’s choppy seas made blockading impossible. 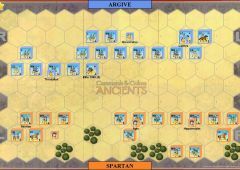 Cleon took command of an expeditionary force and proclaimed that he would either kill or capture the Spartans within twenty days. 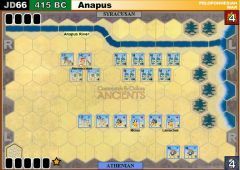 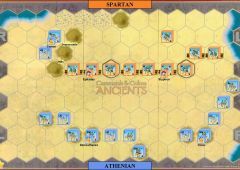 The Athenians launched an assault on Sphacteria, landing in great force on a weakly defended point. 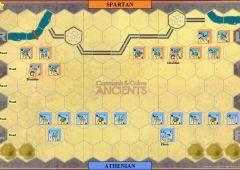 They swamped the beachfront defenses and moved inland, harassing the Spartans with missile fire whenever they attempted to come to grips with the Athenian hoplites. 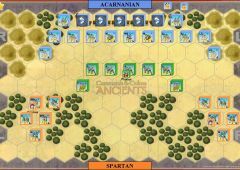 The Spartans withdrew in some confusion to the northern end of the island, where they dug in behind their fortifications. 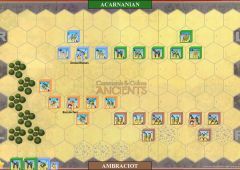 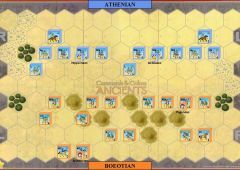 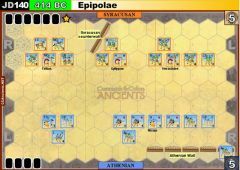 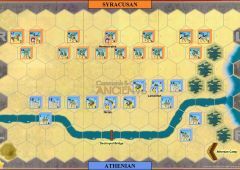 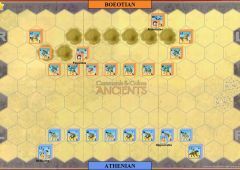 A stalemate took hold for some time, until the Messenian general Comon led his men into the Spartan rear through a route along the island’s shore that had been left unguarded because of its roughness. 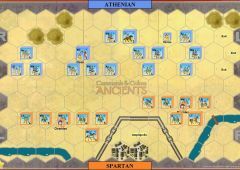 The Spartans abandoned their defenses and the Athenians seized the approaches to the fort. 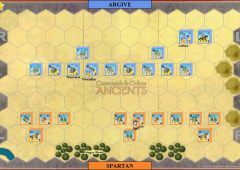 Styphon, in command after Epitadas had been killed, ordered his men to throw down their shields and surrender, something the Spartans never did, especially to Athenians. 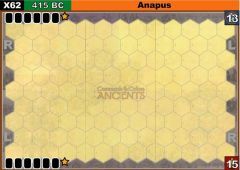 The mystique of Spartan invincibility was now shattered. 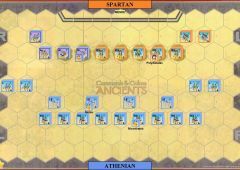 Among the hostages, 120 belonged to the noblest families in Sparta and represented about one tenth of the elite Spartan population. 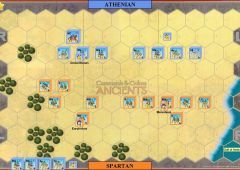 Athens threatened to execute them if Sparta invaded Attica, and the annual invasions which had occurred since the war’s declaration were thus halted. 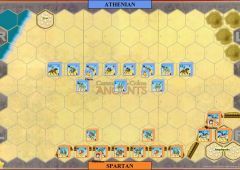 The next few years would see a newly aggressive Athens until Brasidas, the Spartan general, captured the Athenian colony of Amphipolis with an army of allies and helots, raising general insurrection in neighbouring cities. 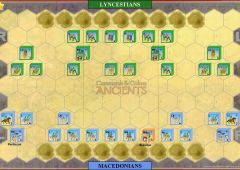 After a fight around Amphipolis, in which both Brasidas and Cleon were killed, neither the Athenians nor the Spartans wanted to continue the war, and the Peace of Nicias was signed in 421 BC. 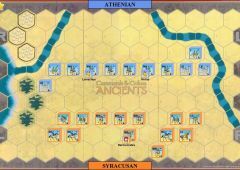 The hostages of Sphacteria were exchanged for the towns captured by Brasidas.